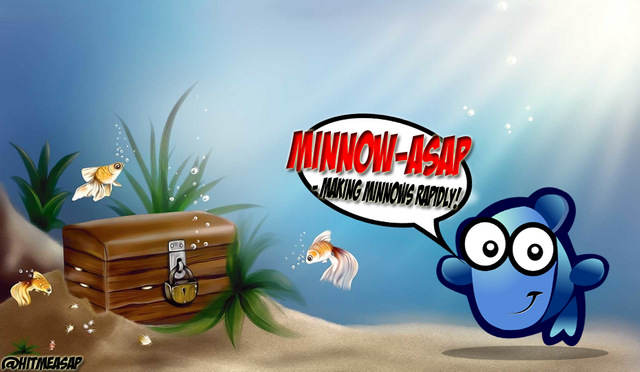 The Launch Of "Minnow-ASAP" Is Near! - Get Your Support Ready. Minnow-ASAP is standing on the doorstep and the official launch will be on Monday. Before that, there are a handful things I want to discuss and share with you. I truly believe that a strong middle class is vital for the growth of STEEM and even though there are several initiatives and projects out there doing what they can to feed and support smaller fish, most of them are focused on users who are somewhat close to the goal of 500 Steem Power. Much like the previous "Push People"-initiative, these initiatives are often focused on users who have approximately 450 Steem Power. The biggest reason for that is the lack of support, especially from bigger fish, orcas and whales. Instead of setting limits of who to support, Minnow-ASAP will focus more on the existing support and not as much on the support we might get in the future. We want to focus on today. The general idea is to "prioritize" the user/users and support said user more than we would regularly do for a limited time, to catapult them into or towards minnowhood. A user with ~450 Steem Power would need less support compared to a user with ~200 Steem Power. That's logical. But to target individuals directly and upvote, donate or by other means support users on the path towards minnowhood is what matters. 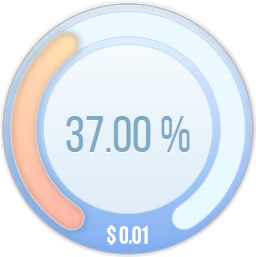 A donation of 0,1 Steem is better than 0, just like a 100% upvote is better than a 50% upvote. 1 SBI-share is better than none... And so on. This will not only bring us more minnows and a stronger middle class on STEEM, it will also encourage, motivate and inspire others, so that other people will start to engage more, want to be part of this supportive movement and it will also bring us closer to each other. It will make us work together. With that comes other bonuses such as individual growth, profile exposure and new connections, all key ingredients for success. That being said, you don't have to be on the "receiving"-end to be part of, or benefit from the Minnow-ASAP. Everyone will benefit in the long haul. At 500 Steem Power, an upvote is worth $0,01 even at a voting power of 37%. 10 x 0,01 votes is worth 0,1, so there's no question about it. We need to group up and focus on the same people, rather than spreading our votes across the entire platform. Listen, I am not saying that we should stop curating multiple accounts, I'm just saying that it would take less time to grow users if we combined our efforts and focused on just a handful individuals than spreading our votes across dozens, hundreds or even thousands of accounts. That's what I want to achieve with the Minnow-ASAP. To focus more on just a handful of users at the same time, as that will yield us, the platform, better results in the long haul. The countdown has begun. Minnow-ASAP will officially launch on Monday, 2019-03-25. I have received a handful of messages from people who've applied for a spot. Many of them trolls, or people who doesn't seem to understand the purpose of this. People with 600+ Steem Power have sent me messages asking for support, and instead of replying to each of those comments, I will just ignore them going further. I am not looking for people with 500+ Steem Power. I am looking for people with less than 500 Steem Power, and anyone, no matter the amount of Steem Power, as long as they have less than 500, can apply for a spot. On top of this, I have also made an official account for @minnowasap, in case I'd need it in the future. For the time being, I will maintain and manage the project using my personal account. A Discord channel might be used in the future, depending on how things develop. Until then, you can contact me directly on Discord at [EviLDoLLTV#9035] if you have any questions, if you want to apply for a spot or if you're interested in being a part of the project. Minnow-ASAP is an initiative launched and managed by @hitmeasap. This is a pay-it-forward project based on generosity and selflessness. With support in terms of education, motivation, inspiration, donations and upvotes, the goal is to strengthen the middle class on STEEM. Everyone. Users close to 500 Steem Power will be prioritized. To be eligible for this specific, individual push, you cannot have enough liquid rewards to reach the goal and you cannot have an active power down. Active people who engage and stays out of trouble is obviously good candidates. Initially, we will take on a maximum of 5 users per push. One spot has already been taken, so there are 4 available spots. Feel Free To Resteem This Article, And/Or Nominate Steemians You Believe Would Be Good Candidates. I am sorry for mass-tagging, but I figured that the best way to get exposure was to tag everyone who was involved in the previous "push people"-initiative. You are free to mass tag me any time. Let me know what support you need and I'll do what I can. One thing I can do for sure if put all 5 on the free support side of the Minnow Builder project which means a free upvote each day. Have a few slots open there and would be happy to help push 5 people faster to minnowhood. That would be awesome! Let me know more about the minnowbuilder project. I might wanna delegate something in the near future. I nominate @curatorcat, who is active and working hard toward their goal of minnowhood! @cicisaja is another I'd recommend. Although she has delegations to push her into the minnow category, it would be nice to get her there in her own right - she's at 410 or so right now if she powered up all her SBD. She's active in the @pifc contest and Steemmonsters. Thank you @viking-ventures and @hitmeasap 😉.. for nominating me. But.. I think there are a lot of good candidates around rather than me 😊 I've been pushing by many people to be a minnow for the last 6 months.. but I just keep maintain my slow grow because I like the process😊. I still think you deserve it and I would love to put you on the list, so we can push you over the finish line of 500 SP. You deserve it, and we all would benefit by it in the long haul. You are an amazing person. Offered free support and because you feel you are already getting enough support you decline and say to support others. I have all the best support someone needed @thedarkhorse... we can support more people rather than put everything on me 😊 so we will have more minnows at the same time. I think I made the right decision for this. Great initiative - feel free to add me to yer tag list for future btw! It's great to have goals, but I would probably lower my goal a bit if I were you. We are all different obviously, but to me personally, having such a huge goal would affect my motivation and energy in a negative way. I'm glad you're working towards a goal though, that's more than you can say about a lot of people on here. I thought of doing that, but I don't want this to make people feel forced or that people has to commit on each push. Therefore, I felt it would be better to let people decide for themselves, if and when they should participate and also in what type of way they want to contribute, as you can contribute in many different ways. I'll support this where I can. I want to help lots of people, but I agree that concentrating on a few gets better results. We need enough support so we can boost lots of people. That's amazing Steve, I appreciate it. We appreciate it! Hi @rdradhe I invite you to be part of this programme. Thanks @hitmeasap for such a nice programme to help the community. Together we will grow for sure. Thank you very much. I appreciate the mention of a potential candidate. Great project and focus. Is this anything like #tenkminnows? Thank you! Well, you could say that it's similar to several of the minnow-making projects or initiatives we have, but I personally wouldn't compare this with any of the others. Even though all of them are working towards the same goal. Most of the projects out there are using upvotes as the main resource for growing a wide variety of people. They are using auto-votes/voting trails, and/or dedicate a certain amount of VP when they cast their votes across dozens of people simultaneously. Most of these initiatives are also focusing on people close to 500 Steem Power, as it's easier to push someone at ~485 SP rather than pushing someone having 300. Minnow-ASAP is, or will be different. Upvotes are obviously a splendid way to increase the rewards, but the main thing with Minnow-ASAP is donations in form of Steem Power or SBI-shares for instance, that will be the main ingredient so to speak. This is 100% selfless pay-it-forward. For instance, I might power up one user with 5 Steem to help them grow instantly. And also bring them one step closer to the goal of 500 Steem Power. The previous "push people"-initiative were very successful, and we pushed a dozen users straight into minnowhood, all based on generosity and kindness from participants. The goal with Minnow-ASAP is to rapidly make Minnows. In a faster pace than any other project out there. However, I obviously realize that people won't be able/willing to donate 25 or 50 Steem to a random user, just to make them a minnow. But if we can donate 0,1 Steem, 0,5 Steem or perhaps even 1 or 2 Steem to these users, we will move mountains and push people quickly into minnowhood. That being said, I don't have any intentions of growing a newcomer with 5 Steem Power in total into minnowhood by the use of donations. No matter what type of support this project gets. But instead of having limits of ~450 Steem Power, I'd love to include people who're working hard, but still haven't reached that ~450 Steem Power limit like so many other projects have. A limit I had too, in my previous project. Also, as I let users decide for themselves if they want to donate, the amount they want to donate and/or if they want to support one specific user or all of them. And also how to support them, I figured that things will be tweaked with time. The most important part right now, is that I make this official and that we start producing minnows to establish a stronger middle class. That's great to hear, Thanks for your wonderful service to the community of new members. I just made it over 500 SP to minnow yesterday. Keep up the good work. I get you; one of the things that some of the pushes do is cut out those with less than 450. It's certainly slower going when they are lower. That's why I'm not being selective with my "For the Love of Comments" contests. I've had some amazing support from both mattclarke and simplymike on these, to be able to do them more often and to double what they get in delegation for the month. There are two other things that could trip us up, I feel. One is at the lower end, with very new users. It's hard to tell whether they'll keep going or just lose interest and decided it's not for them. So I'm somewhat cautious of delegating if there's a risk of it sitting unused. So far every winner has gone on to make really good use of it. I've just finished round 4 and two of the winners have already passed 500, so I've been pleased with all selections. The first winner isn't as active as they used to be, but had great growth at the time which they still keep powered up. Anyway, the only thing I can really do for the new users is to let people know they can keep entering. This way I can see if newcomers are stayers. Any ideas yourself? The other concern is that if so much help is thrown at users as redfish, then they get left to fend for themselves once the hit 500, they might suddenly find themselves not doing as well as they've become accustomed to then give up and power down. One of the ways I'm thinking to help balance this is by giving out SBI shares to the runners up as this will be a long term thing. I wonder if maybe encouraging them to go on to assist others as well will be helpful in keeping that motivation up. This is why I think the idea behind the drive is good, because we're saying that we want the minnows to be the middle class and the foundation, which hopefully illustrates the power that they will hold. Awesome work and good questions. Thank you! Well, let's be honest. I won't use Minnow-ASAP, or my own "influence" to push a newcomer with ~10 Steem into minnowhood. I would never do something like that. However, I don't want a limit of, say 450 Steem Power, to be eligible this, as I don't want to exclude people lower than that. Also, I won't push people who haven't showed their interest, and people who haven't proved themselves to be good candidates. Joined in January 2018 and have a total of 401 Steem Power. Sure, this user has more than 500 SP due to incoming delegations, but how awesome would it be to push her straight into minnowhood, so she had 500 Steem Power by herself? - That's what I'm going for. I want this to be the motivation and encouragement these people need, to continue to be awesome. However, there are others who have less support but are doing a fantastic job already... And I want those people to get a nice "bonus", by pushing them. So they reach their goal even faster. SBI-shares seems like a good idea to somehow "lock" people on STEEM. As long as they continue to produce content, they'll be rewarded for it due to the SBI-shares. So that's obviously a really great idea. I have no intentions of pushing a small fish with 10 Steem Power into minnowhood out of the blue. I might be crazy, but not that crazy. They need to have some sort of credibility and they need to have somewhat "proved themselves" before I will consider anyone for a push. I mean, even though donations are considered to be charity, this is not a charity event in that sense. I want this to be that extra small push these people need to continue on the right path. So, all in all, one need to have some sort of criterias... Users must've done or achieved this or that to be eligible. I will most likely update Minnow-ASAP with more criterias, rules and whatever with time, but for now, I just want it to be "open for all". I'm looking forward to where it takes me and this project, and before I've seen how things turn out, I can't make necessary changes either. Congratulations to @cicisaja! A very good choice! Thanks for your feedback and thoughts. I would nominate @claudiaz for this project. She does so much good for our platform in the realm of photography. She has 449 SP right now. All of them seems like good candidates. Thanks for sharing. I'll take a closer look shortly, before I announce the official selections tomorrow. Look forward to the launch! Don’t hesitate to let me know how I can help! I intend to give upvotes to those supported but can also help with some SBI if they prove to be actively engaging with the community. Glad to see you focused on this! I'll be right back with a candidate😊 i like hangin around with planktons, that's why I didn't find an acc that ready to be a minnow😉.. I know how this project goes😊 we'd better find someone who really close to 500 SP. Thank you, I appreciate it. However, she would reach 500 SP if she powered up her liquid rewards, so I have to decline that. She would have 470+ Steem Power by powering up her Steem, and if she bought Steem for the SBD she have, she would be up to more than 500 SP. Yah I am monitoring the price of sbd to steem and exchanging them to steem little by little but i will be powering them all up before the dateline for tenkminnows. Alright, let's do this! Bring me the fishies and I'll send some steem love their way! Everyone. Active people who engage and stays out of trouble is obviously good candidates. Nonetheless, I would like to nominate a couple of my countrymen right from the tip of my head. Please @hitmeasap, check if my friends @nahupuku and @reinaldoverdu qualify for this Minnow-ASAP initiative.